Microban® Antimicrobial Technology is infused into Polylast™ during the manufacturing process to help prevent the growth of damaging bacteria, as well as inhibit stains and odors caused by bacteria. But how do you clean dirt, droppings, grease, or other debris off of your Polylast™ floor to keep it looking like the day it was installed? That’s easy! 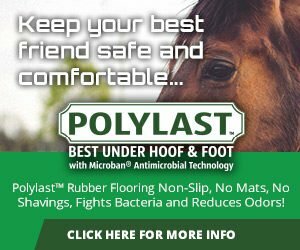 Whether Polylast™ is installed in your horse trailer, stall, wash rack, restaurant kitchen, or anywhere else, simply scrub the Polylast™ floor with dish soap then rinse with water. Below is a short video demonstrating how easy it is to clean your Polylast™ floor. Polylast Systems is proud to provide the best rubber floor available. 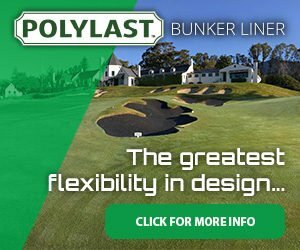 Whether it is horse flooring, golf course bunker liner, restaurant kitchen flooring, roadway repair, or any other application where a resilient floor is needed, Polylast™ will provide the best non slip floor. As demonstrated by many independent tests, all Polylast™ products provide resilient floor solutions, and are environmentally friendly. This patented and proprietary non slip floor is made from 100% recycled rubber combined with U.S. primers, binders and finishes, and is made right here in America. Contact us to help you find one of our 65+ national and international dealers for surface installations.